Tamil Nadu government, AIADMK and dissident leader O Panneerselvam on Friday observed the 69th birth anniversary of late J Jayalalithaa in different ways including planting of saplings and giving away welfare assistance. Chief Minister Edappadi K Palanisamy planted a sapling at the Omandurar Government Estate here marking the launch of a drive to plant 69-lakh saplings and a greening project in areas hit by last year’s Vardah cyclone commemorating the late Chief Minister’s birth anniversary. The sapling planting drive is being taken up across the state at an estimated cost of Rs 65.86 crore and will be completed before December. “The saplings will be planted and maintained in forest areas, in the premises of schools, colleges, government and private office complexes, road sides and in parks,” an official release here said. In districts affected by storm, it has been planned to plant 50,000 saplings in private and government lands and 2.2 lakh saplings in reserve forests. Besides, 2.62 lakh saplings will be provided to public at subsidised rates and all the initiatives will be implemented at a cost of Rs 13.42 crore. 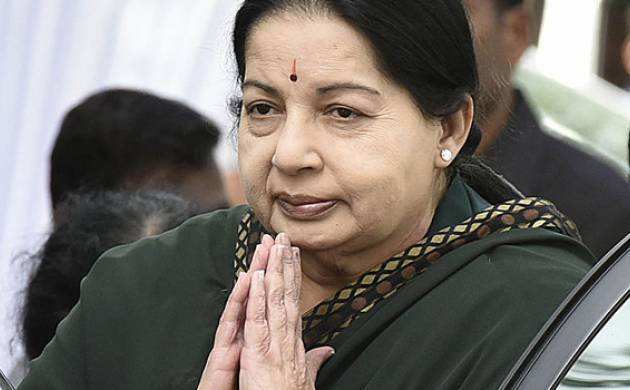 A photo exhibition of Jayalalithaa was unveiled by Finance and Fisheries Minister D Jayakumar, it said. Lodged in a Bengaluru prison, she said cadres should give welfare assistance, provide community lunches (Annadanam) to the people and carry on by working shoulder to shoulder with the government. He hit out at Sasikala and her family without naming her for trying to take over the party against Amma’s wishes. “Dharma Yudham will continue (to retrieve the party and government),” he said and reiterated his demand for a judicial inquiry into the circumstances surrounding the death of Jayalalithaa.